A new Spindle Base has been added to our collection. We are the inventors of these unique, copyrighted bases. 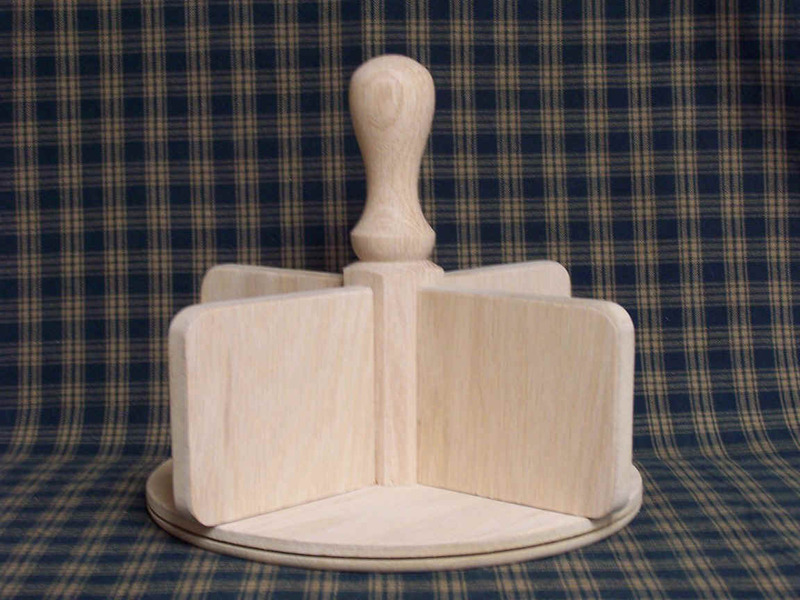 See our "Spindle Base" page for our other choices. This basket is great for organizing. Use for napkins, flatware, and condiments. It can help keep remotes and TV Guides in one spot. Store notepads, envelopes, and the stapler on your desk. This basket certainly has many uses. This basket was designed to use up all those 1/4 flat dyed scraps! 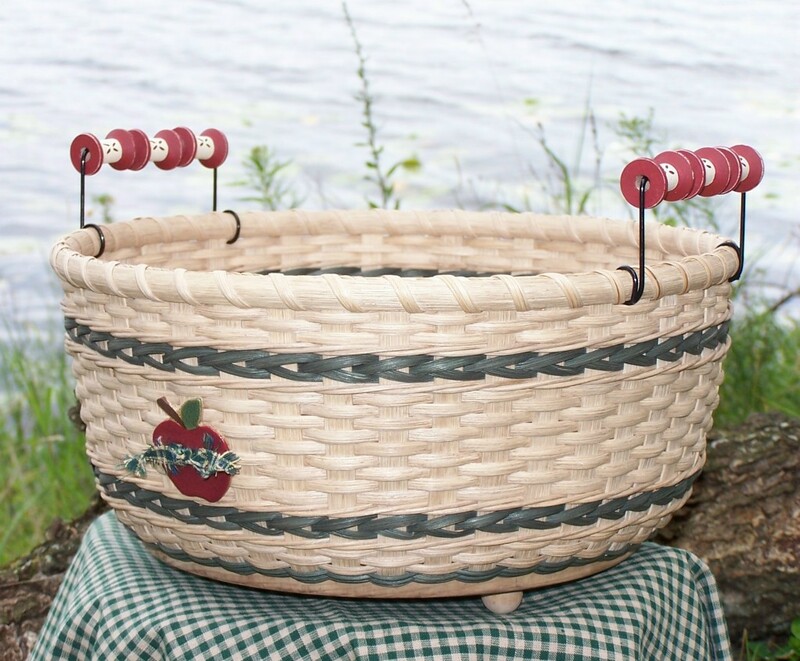 The basket will become an "organizer buddy" for your desk, countertop, bathroom, or at a picnic......very very useful! Here is the newest creation of the "...in the Pines" series. 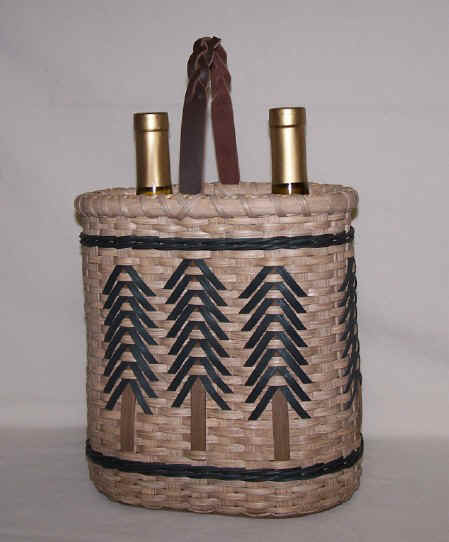 Ronda is the creator of the reed pine tree and she has many more patterns available in this series. 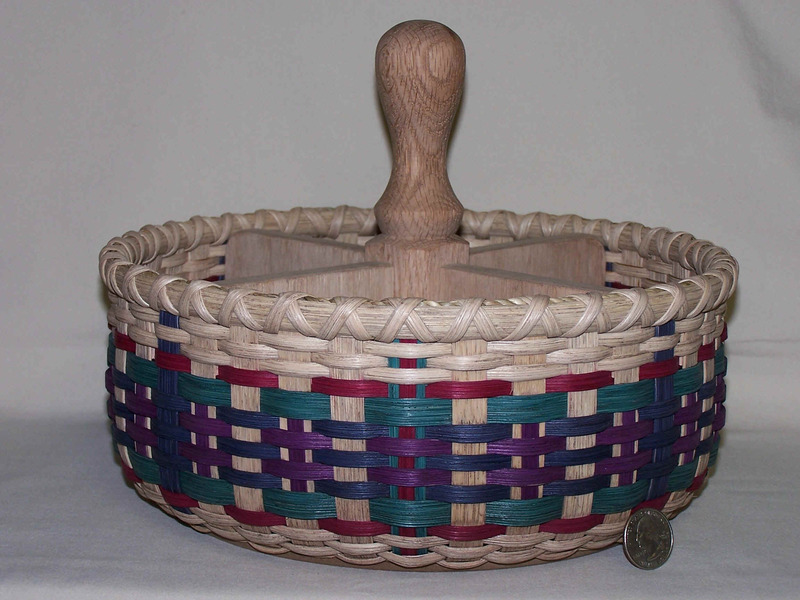 Whatever its use - for books, magazines, cookbooks, or to display rolled up towels in the bathroom - this basket provides a distinctive country look to your home. 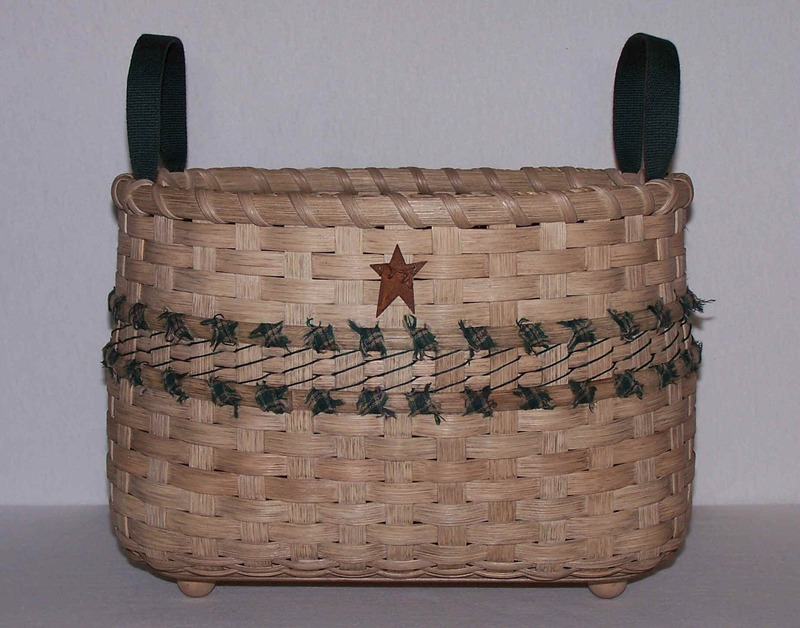 This basket is the newest design in the "Ragtime" series. Ronda invented the idea of ragtime (torn fabric) lashing. 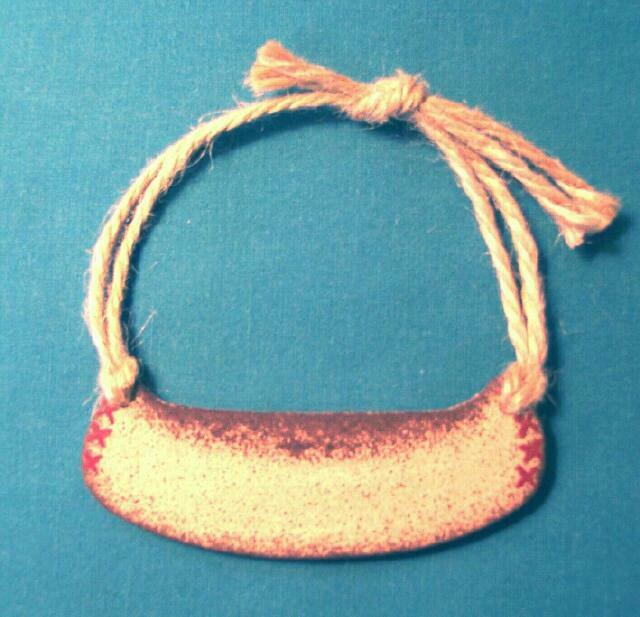 In this design, fabric is used for ti-twining, which is similar to lashing. This basket looks fantastic with a collection of cookbooks inside. It's also great for displaying a bunch of apples and other fruit as a centerpiece. 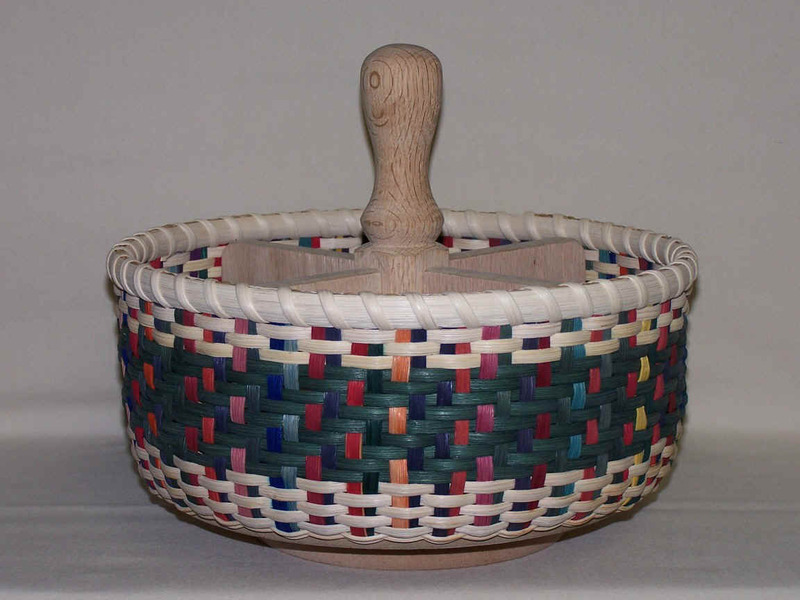 Two bands of 4-ply weaving accent this basket. Basket Tie-Ons: These stoneware originals will add the perfect finishing touch. The Canoe is perfect for the outdoor enthusiast and looks great with the Northwoods decor. 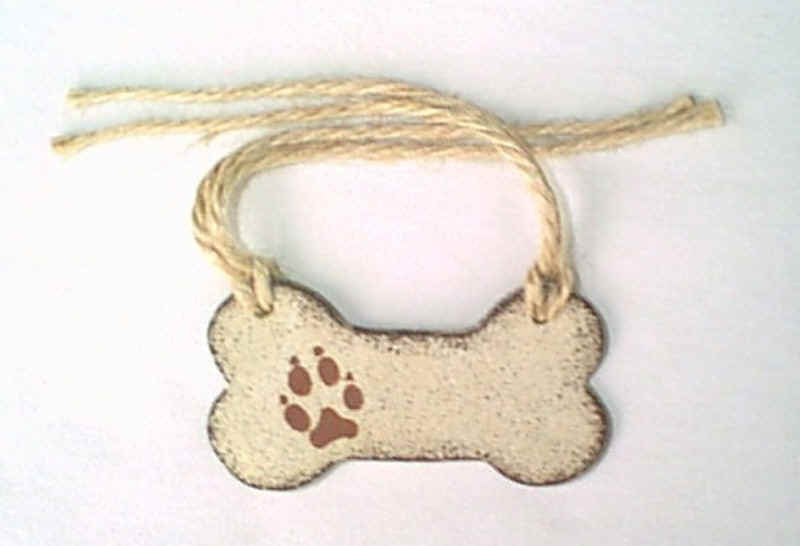 Dog lovers will enjoy our Dog Bone with a paw print accent. You won't want to miss these new items!